Housing and Development Board or HDB homes are getting smaller and smaller these days in Singapore. But space is a form of luxury to many people. You cannot do anything about the size of the house. You cannot increase the space or size of the house. But if you can effectively incorporate the colors, design, lights and other things in the right way, then you can make your space look bigger. There are some ways by which you can get a spacious looking home even if you house is not that big. You need to use the space of your house wisely and get maximize the free space. Mirror is one of the most common yet the best solution to make your home look bigger than what it is actually. You can add a black or bronze tinted mirror in your drawing room, based on the style and color theme of your house. This will surely make the room look bigger and more spacious as well as it will add beauty, depth and elegance to the interior décor of your house. It will be great if you can add a large clear mirror in your bedroom or living room. If the view is great then make sure you strategically place the mirror in such a way that it is able to capture the view. This will bring the marvelous view into your house making it look more beautiful as well as it will double the space. Do you know that brighter color can actually make your space look bigger? Yes it does! On the other hand, dark color makes the room look smaller. Brighter colors create a more powerful visual impact and thus it helps in maximizing the area of your house. So, you should definitely consider brighter colors for your interior. This will make your HDB home look brighter and more spacious than it is actually. There are a lot of brighter shades of colors from where you can choose one. You can go for yellow, beige, off-white as well as blue with a few darker accents to make the house look great. Even if you are not using brighter colors for the walls and floors, then you can consider bright lights for your house. Bright LED down lights or cove lights can actually help to brighten up the space. This will create a visual impact that the house is quite spacious and bright too. The best part is these lights can brighten up the corners of the houses and thus your house will look much brighter as well as spacious. So consider bright lights along with brighter colors. If you are flooring or using a wallpaper by different carpentry material that has a grain then it is better to use the. 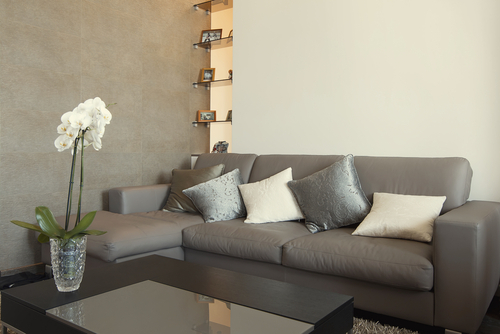 Suppose, if you are doing a feature wall then have the grain just parallel to the longer size of the wall. This will create an illusion of adding some length to the area whether it is a wall or floor. Even it will also distract the eyes from the shorter side. Thus, you will be able to make the longer side of your house more prominent. So, it is a great tips for you to enhance the beauty of your wall or floor as well as make the HDB home look bigger than original. Bigger patterns and motifs on the wall or floor create an illusion of big impression. Thus the bigger pattern will make it look like bigger is size. It will have more to your eyes and also it will make the area bigger and larger instantly. If you use bigger motifs or pattern on your wall to enhance the décor or beauty then it will make an impression that the area is larger than the normal size. Even same goes for the floor. It is always better to use larger pieces of tiles in your living room or bedroom as this will look grander and also make the house look more spacious. The small pieces of tiles and planks will not look good and even it will make your space appear smaller. It is very much important to consider which type of furniture you should use and how in order to make the space look larger. You have to use minimalist furniture and place them wide apart from one another. This will emphasize the space between the two and make it look larger and better. For Housing and Development Board homes it is always better to consider the furniture like cupboard and wardrobe that goes upward. This will result into more spacious functional space and even it will aesthetically look more pleasing and classy. Using a wooden door as partition between balcony and living room can make your living room look clumsy and smaller. If you do not have much space for your living room, then you can consider using glass doors as a partition between your balcony and living space. The see through glass doors will give an impact of wider visualization of the room thus making it look more spacious. Even through glass doors natural light is allowed to enter into your living space which plays a great role in brightening up your space as well as make it look bigger than usual. It is a waste of space if you make furniture for storing things. The best thing that you can do to minimize the use of the space of your house is by creating hidden storage spaces. You can use the stairs for that. Even the space beneath the stair can be utilized to create a storage space. 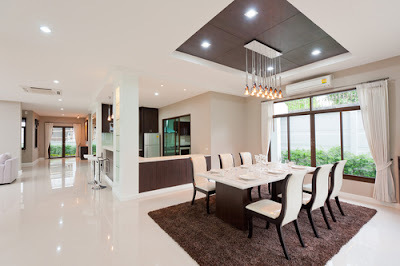 The HDB homes come with small spaces and thus using them wisely is very important. You can use folding shelves hidden on your wall too to increase the space.